Huge Savings Item! 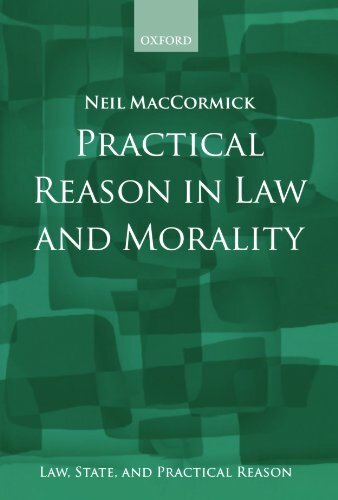 Save 11% on the Practical Reason in Law and Morality (Law, State, and Practical Reason) by Oxford University Press at Translate This Website. Hurry! Limited time offer. Offer valid only while supplies last. The concept of practical reason is central to contemporary thought on ethics and the philosophy of law - acting well means acting for good reasons. The concept of practical reason is central to contemporary thought on ethics and the philosophy of law - acting well means acting for good reasons. Explaining this requires several stages. How do reasons relate to actions at all, as incentives and in explanations? What are values, how do they relate to human nature, and how do they enter practical reasoning? How do the concepts of 'right and wrong' fit in, and in what way do they involve questions of mutual trust among human beings? How does our moral freedom - our freedom to form our own moral commitments - relate to our responsibilities to each other? How is this final question transposed into law and legal commitments? This book explores these questions, vital to understanding the nature of law and morality. It presents a clear account of practical reason, valuable to students of moral philosophy and jurisprudence at undergraduate or postgraduate levels. For more advanced scholars it also offers a reinterpretation of Kant's views on moral autonomy and Smith's on self-command, marrying Smith's 'moral sentiments' to Kant's 'categorical imperative' in a novel way. The book concludes and underpins the author's Law, State, and Practical Reason series. Taken together the books offer an overarching theory of the nature of law and legal reason, the role of the State, and the nature of moral reason and judgement.